Is virtual reality finally about to see its day? In an ideal world, virtual reality would have been invented years ago. There's been no shortage of iffy sci-fi movies and awkward gaming peripherals in the past to convince us that VR has been just around the corner. But, as it is, life is cruel; it's 2014, and our houses are still without holodecks. But for those of us still clinging to hope, there's a light at the end of the stereoscopic tunnel: Oculus Rift. Chances are, any tech and/or gaming enthusiast worth their salt has been following VR's proverbial saviour from Kickstarter cherub to "OMG IT'S REAL!" Its latest appearance at CES 2014 showed off yet more improvements, and although a release day and price are yet to be nailed down, things are looking good. So are we really on the eve of a VR revolution, where all our gaming fantasies will finally be realised? Well, we're not going to jump the gun here, but there's definitely some movement going on in the gaming tech world that you should be keeping an eye on. 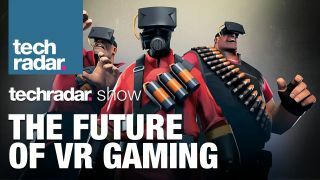 We sat down to discuss Oculus Rift and the future of VR gaming in this week's TechRadar show. Check it out below, then tell us what you think in the comments.